I have written about wine in international and local media for nearly thirty years, but for much of that time I also worked for wineries. Only since 2016 when I left Carmel am I truly independent and self employed. I have written my regular Wine Talk column in the Jerusalem Post for ten years now. The question is, what am I in my new incarnation, a wine critic, wine journalist or wine writer? In my view a wine critic is someone who tastes wine in as sterile as environment as possible, without outside influences, so they can give absolute concentration to fairly describing the wine. There is probably an objective to taste as many wines as possible, because that is their reason for being. A wine journalist is someone ideally with a regular spot in the media, who reports on wine related events, which is usually wine launches or new vintages. The role is largely reactive, and the person relies on press releases from wineries. Then, there is the wine writer. His or her job is to tell a story, to educate and enthuse about wine. They weave a tapestry around the wine. As far I am concerned, I prefer not to be called a wine critic or wine journalist. I always describe myself as a wine writer. Some believe this term is an umbrella term that covers everything else including being a wine expert, wine critic, wine journalist and wine author. Certainly, they all overlap to some extent, but in my view, there is a difference. Wine lovers are unique in that they like to talk about wine and read about wine, almost as much as drinking it. Look at the cookery shelves in international bookshops. There won’t be numerous books about cheese, coffee or tea, but there will many books about wine ranging from pocket sized wine guides to large format coffee table books, full of glossy photographs. Hence the need for the animal called the wine writer. Now, wine touches the world from numerous different angles. It may be explored through the perspective of ancient and modern history, archaeology, gastronomy, religion, peoplehood, art, science, agriculture and tourism. Oh, and I almost forgot, also sensory perception and taste. There is an awful lot to get one’s teeth into. Wine, it is not just a drink, but it represents a specific year, comes from a certain place, and is made by an individual, who makes decisions at the winery. With Coca Cola, no one is interested in the who, the when and the where, but there is this wider and added interest with wine. It is this fascination that gives oxygen, content and inspiration to the wine writer. However, wine writing is a dying art, because the art of reading is dying out. People today want instant gratification. Time is at a premium. People want wines to be given scores, which give an immediate impression. A score is quick to read and easy to understand. A commentary distilled into a number. 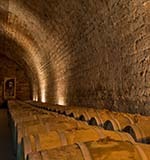 This fetish for scoring wine really started when Robert Parker, a lawyer from Maryland in America, who wrote wine notes initially almost as a hobby, predicted the greatness of the 1982 Bordeaux harvest against the contrary opinions of the wine literati of the time. Since then, his fame was catapulted into the stratosphere and he became the most influential wine critic on the planet. The result of this was exaggerated power in the hands of one man. Wine lovers would buy wines religiously according to his opinion, and wineries would hire consultants to make wine to the taste of the critic, in search of that elusive high score. Parker also introduced the idea of scoring out of 100. This was confusing as this is really a system which rates wines between 50 and 100 points, but it became the norm in America, and the leading American magazines Wine Spectator, Wine Enthusiast and Parker’s own Wine Advocate all adopted it. Such was his influence, if Parker gave a score of 89 points the winery may have been satisfied, but the wine did not move off the shelves. If the wine scored 90 points or more, it was sold out within a week. There are other scoring systems. 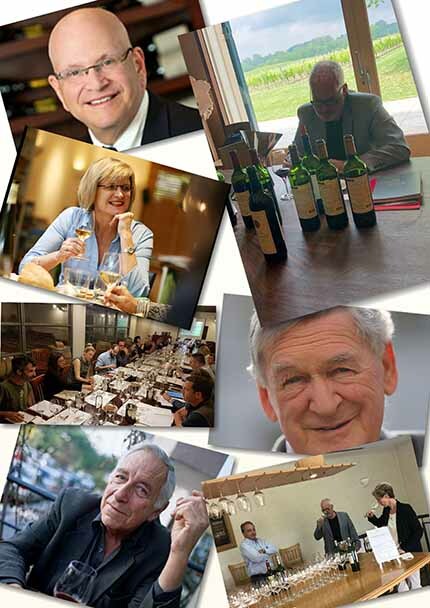 Jancis Robinson MW regarded as the number one wine critic and wine writer in the world today, uses a 20 points system. This seems eminently the most sensible, practical scoring method. Michael Broadbent MW, ex Head of Christies Wine Department and the ultimate wine tasting guru, uses a simpler 5 point system. Uncomplicated and easy to use. Hugh Johnson, the legendary wine writer, refuses to score wines. In his Pocket Wine Book, the world’s largest selling wine book, he rates wineries with a star system, rather than scoring individual wines. However, when Decanter, the magazine of the British wine trade, converted to scoring out of 100 points, the Parker system could be said to have conquered the world. In Israel, we also had a very dominant wine critic. What Robert Parker was to the world of wine, the late Daniel Rogov was to Israel. Rogov also used the 100 points system. Now with Rogov is no longer with us and Parker being semi-retired, the days of the dominant, all powerful wine critic has gone. Today the power is diversified in the hands of the blogger. As for me personally, I do not score wines. It seems to me rather too finite for an art form to encapsulate it in a score. I did not give a score either to that memorable Leonard Cohen concert, which to me was like a religious experience, nor to the opera La Traviata, Beethoven’s Fifth Symphony concert, or a performance by the Rolling Stones. I don’t give scores to restaurants I visit, or to paintings in art exhibitions. It seems strange that for wine, it has become de rigueur. Wine is complex and often needs time to show itself. Many times, I have brought a valued wine for a Shabbat dinner to share with my children, David and Rachel, who are both also in the wine trade. Time after time we taste, bemoan the fact the wine does not meet expectations. Yet, often, after going back to the wine later, we find it has developed into something extraordinary. Here we are, three supposed wine professionals, being made fools of by wines’ ability to develop over time. Now, if I was to score such a wine, when would I do so? If it was at a formal tasting, the wines would be lined up in a row and the impression (or score) would be immediate. Sniff-Shluk- Score. No time, no context, no development. It is not for nothing that we talk about competition wines. Those with more concentration of fruit, alcohol and oak often stand out from a crowd. This sort of wine may command a ‘wow’ in a tasting when being judged in a competition, because they elbow their way to the front of the class, but you would scarcely want to drink more than half a glass at a meal. The more delicate, supple and subtle wine does not stand a chance. Michael Broadbent MW got it right. I have a memory of him on film, tasting Chateau Lafite with a stopwatch by his side. Every half an hour, he would go back and taste the wine again, recording his findings in his little notebook. Also, when Yatir Forest 2003 received 93 points in Robert Parker’s Wine Advocate, it was instructive to learn that it was not because it was the best wine in the initial tasting, but because when tasted again the next day by Mark Squires, it had improved enormously. (Mark Squires tastes the Israeli wines on behalf of Robert Parker’s Wine Advocate.) The problem is that most professional tasters don’t have the time to spread it out. They taste a wine and record impressions in an instant. A score of a wine is a snapshot of a wine at the time of tasting. It is no more a true reflection of the full character of the wine, than one photograph tells you everything you want to know about a person. However, that is not to say it is meaningless. If the tasting note & score is by a Robinson, Parker or Broadbent, the absolute masters of their trade, it needs to be taken very seriously. However, don’t expect them to agree. Wine tasting is not scientific, it is wholly subjective. 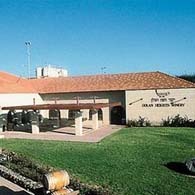 When I worked at the Golan Heights Winery, we used to meet for tastings once a week. There were five highly qualified winemakers, graduates of the finest winemaking seats of learning. I soon learned that these talented individuals could never agree. Whereas one would rave about a wine, another would say it was faulty, or the opposite. After these sessions, I was never embarrassed to say what I thought again. I learnt there is no right or wrong, only an opinion. The most public spat over a wine tasting was between Jancis Robinson and Robert Parker, who completely disagreed on the merits of Chateau Pavie 2003. They could have been tasting different wines on different planets. Yet those following one or the other, would probably have agreed with their guru. A similar disagreement nearer to home was when Daniel Rogov gave the Yarden Rom 2006 96 points, the highest score he ever gave for an Israeli wine, whereas Mark Squires gave it a mere 88. Therefore, when the ‘critics of the critics’ are bemused by the difference in the scores of a particular wine, I try to explain that different critics should not be compared. The calibration is different and the taste is individual. There are consistencies only within one critic’s opinions, but it does not cross boundaries. So, it is best to find the critic you respect and compare their scores with different wines, rather than expecting different palates to agree. For those familiar with winetasting terminology, wine criticism is a vertical exercise, not horizontal! It seems that before selecting a wine, the wine lover should choose a critic. Now, I must come clean. This wine writer, who does not like scores, has a confession to make. I have spent most of my career working for wineries. I can tell you I have been excited as anyone when one of my wines has scored well, and would not hesitate to use it for marketing purposes. When the aforementioned Yatir Winery scored that 93 points, it was then the highest score for an Israeli wine. I then worked with Yatir. The score came through on a Friday night, and I had to wait until after Shabbat went out before ringing Yaacov Ben Dor, the religious CEO. I can’t pretend I was not excited and this score helped significantly to build the winery’s image. I also write the news section for Israel’s main English wine website and as an Israeli wine patriot, I am always proud to report on a high score by any Israeli winery. That is the crux of the matter. Scores work and there is a market for them because the consumers look for them, the retailers like to display them and they are important to the wineries! Certainly, a score combined with a tasting note can clarify matters. Nothing muddies the waters like some beautifully written tasting notes, which are very poetic, but they all sound the same. It sometimes needs a score to differentiate between them! However, my choice will always to tell the story behind the wine, exploring the people, personalities and place. I like to sniff the air of the vineyard, look into the eyes of the winemaker, and see behind the scenes of a winery. I like to taste a wine in context. I would choose this, rather than sitting at a table tasting rows of wine, any day! Wine is so much more than a drink and for me the Person and the Place, are no less important than the Wine. Thank you so much for making wine and the world around it so interesting. You write in such a way, everyone can feel the urge to share the pleasures given by good wines, the people behind it and the pleasure felt while tasting. It is all, indeed about trying to understand the land and nature, making THE wine, in order to give more and more pleasure to the consumer .